MOVE OR IMPROVE - Stanton Architects, Inc.
DESIGN DILEMMA: WHAT ADVICE CAN YOU GIVE TO MAKE A HOME ACCESSIBLE? Outside care of our homes can be difficult, but help can be arranged. 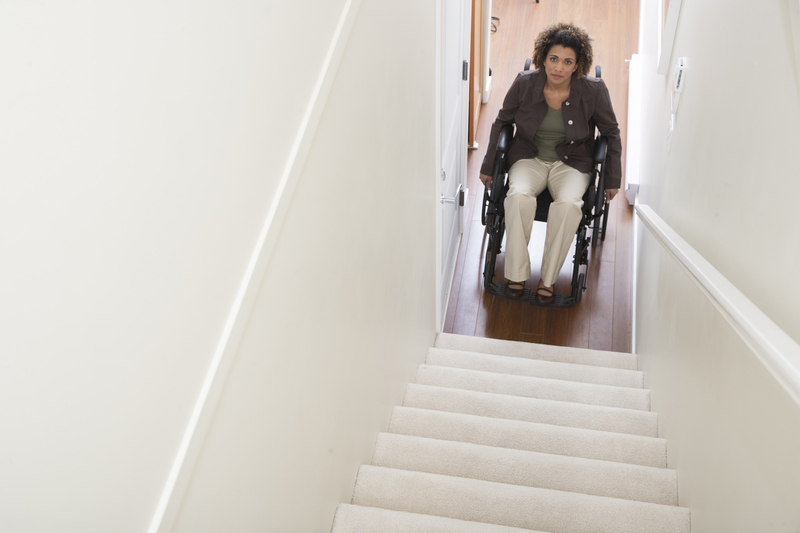 How about accessibility into and within our homes when an accident or aging occurs? We love our home! The obvious choice is adaptation for easy access without barriers. Good planning leads to better results. Before getting out the sledgehammer though, let’s understand how the process works. An internet search can be done on Google but there is so much information on accessibility, living in place, universal design, barrier-free living, ADA, etc. that it can make one’s head spin. This is not simple for do-it-yourselfers. There are five sure-fire tips on how to make your home barrier-free to get the results you need effortlessly. DESIGN AN ACCESSIBLE ROUTE: How will you manage transfer through the doors into your home? How will you manage to transfer within the house? DESIGN AN ACCESSIBLE BATHROOM and KITCHEN: Consider walk-in tubs, roll-in shower stalls, grab bars, multiple shower heads, built-in shower seats, easy access cabinets, and accessible sinks. SELECT ACCESSIBLE BUILDING PRODUCTS: Flooring is extremely important to avoid tripping. Some options are glue down short ply carpet, “non-slip” or hard surface flooring. UTILIZE ASSISTIVE AUTOMATIONS: Wireless devices can control thermostats, lighting, ceiling fans, window coverings, appliances, medical equipment, etc. and can even alert remote caregivers of any changes in behavior. SELECT THE BEST DESIGN BUILD TEAM: A professional will assess and evaluate needs before planning, designing, and building. This helps when deciding to move or improve!